The skid control ECU (brake actuator assembly) inputs the stop light switch signal and detect the status of the brake operation. When the voltage at the +BS terminal is 9.5 V or higher and the stop light control relay drive output (STPO) is on, a signal has not been input to the STP terminal for 2 seconds or more. 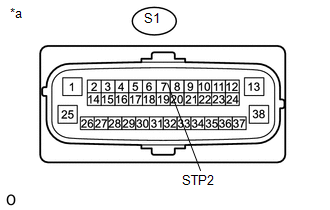 When the voltage at the +BS terminal is 9.5 V or higher and the stop light control relay drive output (STPO) is off, the signal at the STP is different from the input signal at the STP2 for 2 seconds or more. DTC will be output when conditions for either of the patterns in the table above are met. When replacing the skid control ECU (brake actuator assembly), perform calibration (See page ). When DTC C1425 is output together with DTC C1380, inspect and repair the trouble areas indicated by DTC C1425 first (See page ). (a) Check that the stop lights come on when the brake pedal is depressed and go off when the brake pedal is released. 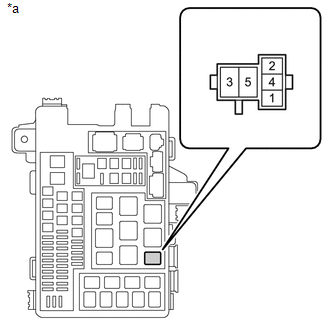 (a) Make sure that there is no looseness at the locking part and the connecting part of the connectors. 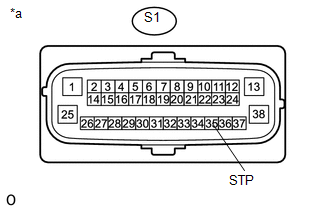 (c) Disconnect the skid control ECU (brake actuator assembly) connector. (a) Reconnect the S1 skid control ECU (brake actuator assembly) connector. (e) Enter the following menus: Chassis / ABS/VSC/TRAC / Active Test. (f) While performing the Active Test, check the illumination condition of the stop lights and "Stop Light Relay Output" in the Data List. (d) Perform a road test. (a) Remove the STOP relay from the engine room relay block. 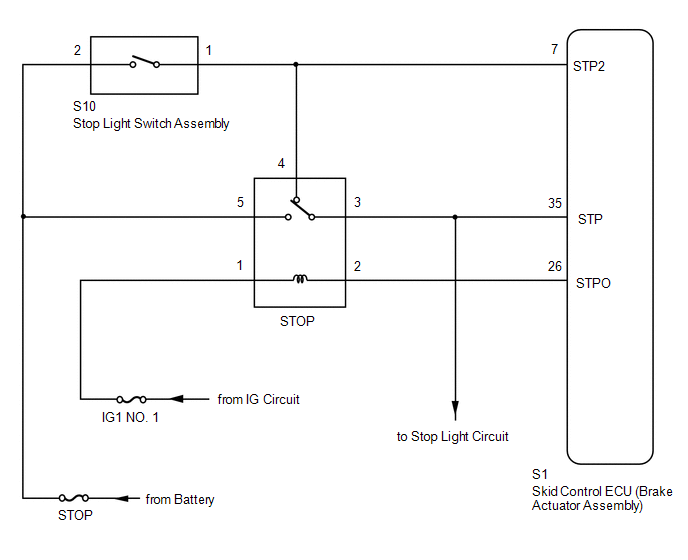 (a) Install the stop light control relay (STOP Relay). 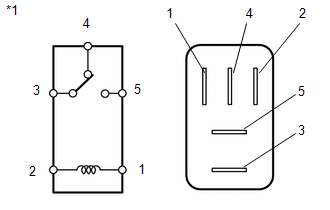 (b) Make sure that there is no looseness in the locking part and connecting part of the connector. 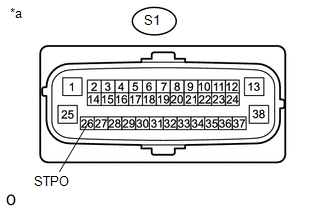 (c) Disconnect the S1 skid control ECU (brake actuator assembly) connector.